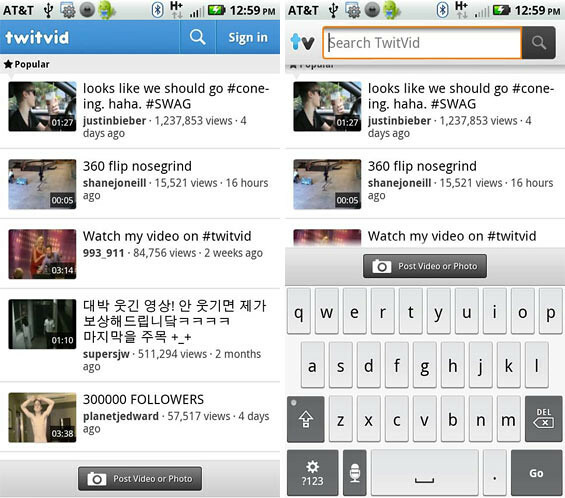 If you like sharing videos on Twitter, then try TwitVid for Android. It makes sharing videos a lot simpler. With the app, you can record a video using the camera and upload straight to Twitter or you can select any existing videos from your phone gallery. 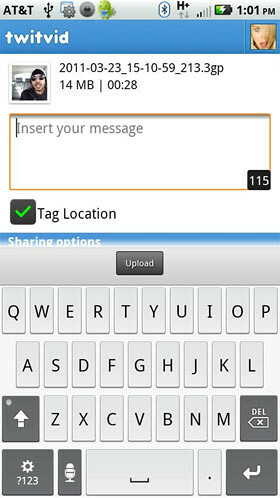 Twitvid lets you post videos or photos on Twitter or Facebook from your Android device. Its super easy to use. Try out Twitvid now.. of course many Twitter apps allows video uploading but this one is like straight to the point and quite direct in what the app does.